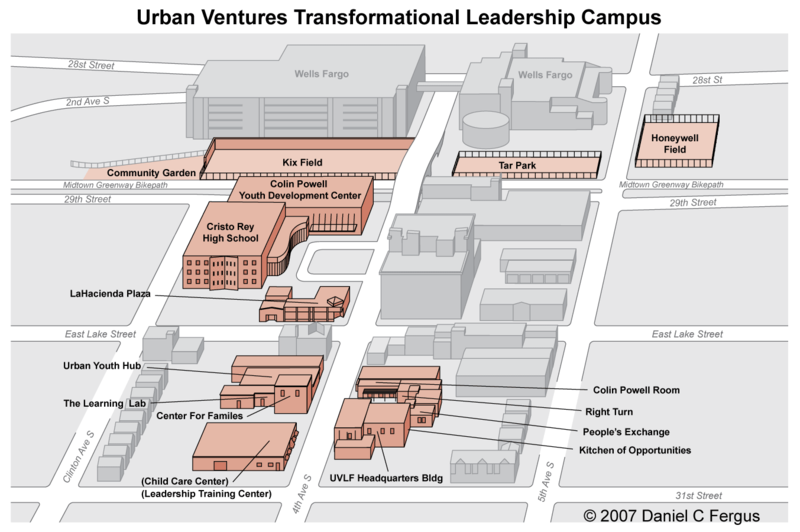 For the 2007 Urban Ventures annual report, I created a 3-D area map of the Urban Ventures “Leadership Campus” (the area of Minneapolis in which the foundation operates). I walked around the neighborhood and took lots of photos to use as reference. Printing requirements limited me to two colors. 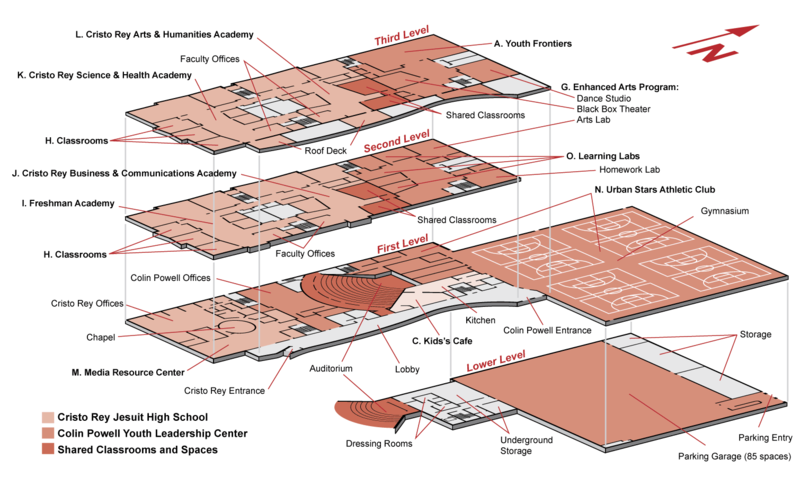 For the same report, I also created an exploded view of the Colin Powell Youth Leadership Center / Cristo Rey Jesuit High School which was under construction at the time in Minneapolis (see below) .